Welcome back to Press Start to BGN, Laurier’s gaming show by a bunch of Game Design & Development students here at Laurier’s Brantford campus. The program is very new and so is our show, so for those who don’t know Game Design & Development is headed by Dr Scott Nicholson through the Brantford Games Network or BGN, hence the name “Press Start to BGN” which sounds like “begin.” This week on the show we talked more about the lootbox madness as well as some of the superhero games we like. Thanks for tuning in! Hellblade: Senua Sacrifice a experimental triple A game, made by developers Ninja Theory has been doing very well since it’s intial release. A free trial of Destiny 2 has been released, the free trial includes two of the areas in the game: the European Dead Zone (EDZ) on Earth and the moon Titan. Players will also be able to visit the Farm social space. A Mod has been released for Doom that is making fun of the lootbox madness by adding lootboxes to the game. Neil Druckman (from Naughty Dog) tweeted out his goodbye to Cuphead after finishing playing saying that it gave him hell but he has nothing but love for the game. Speaking of Cuphead somone has made a Cuphead Arcade Cabinet, sadly it’s not for sale. Sonic Forces payed tribute to the old but not forgotten SANIC meme with a t-shirt with the aforementioned meme on it available in game. Hey everybody! Check out what came out this week! In light of all the hype for the Infinity War trailer, we decided to talk about everyone’s favourite superhero game, as well as what we thought would be the best superhero game for a specific publisher to make. Connor: Our fellow Game Design student and guest for this week cited Injustice 2 and Arkham City as his favourite superhero games. Connor then talked about how he’d love to see PlatinumGames do something with the whole superhero theme, hopefully with something similar to NieR: Automata. Jelena: Yours truly, who has unfortunately not experienced a lot of superhero games, talked about the brief but enjoyable moments I had with Injustice. As for a game I’d like to see come to life, I really couldn’t make up my mind. 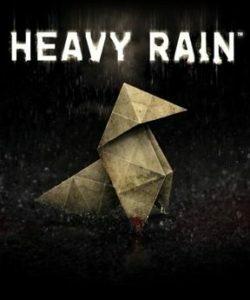 I’d love to see something narrative heavy done to Punisher’s origins, similar to Heavy Rain. However, I would not be opposed to an extremely violent, guns ablazing Punisher game. Stephan: Being the big Batman fanboy he is, Stephan talked about the brilliance behind his time with the Batman Arkham series. With regards to the dream superhero game, he went into detail as to how, despite his love-hate relationship with this company, he would love to see Telltale do something with the X-Men, since there are so many stories they could follow. Paris: Your favourite editor talked us through his nostalgia with the Ultimate Alliance series and mentioned how he’d like to see PlatinumGames work on a new addition to the Ultimate Alliance series. Got any topics you’d love to hear us to cover next year? Let me know! You can hit me up on Twitter @j_vulic98 or with my Laurier email vuli5850@mylaurier.ca. Return to the vast worlds of Bungie’s mythic science fiction, action roleplaying game in Destiny 2. Play as a Guardian, a guardian being given a power called Light to use to protect the citizens of Earth from various alien races. Play as one of three different alien species whom can be one of three attack classes; Titan, Hunter, or Warlock, as you protect the Last City from an alien race called the Cabal who have stolen the source of your character’s Light. Journey to regain your Light and find a way to defeat their leader Ghaul and his Red Legion army as you take back the Last City. Available on PlayStation 4, Xbox One and PC. From Capcom comes the single/multiplayer fighting game Street Fighter IV. Fight and play as various characters from the previous games as well as new characters to the series. Play the game’s story mode in single player and battle your friends in the game’s multiplayer mode, available in arcades, on PlayStations 3 and 4, Xbox 360, Xbox One, PC, Nintendo 3DS, iOS, and Android. From Ghost Games under the publisher Electronic Arts comes the latest installment in the Need for Speed games, Need for Speed Playback. In this racing game, players explore Fortune Valley and follow the story’s main characters Tyler Morgan, Mac, and Jess as they try to take down a cartel known as The House that controls the city’s underworld. Play in either single or multiplayer mode in this racing experience on PC, PlayStation 4 and Xbox One. From Nintendo comes the iOS mobile game Animal Crossing: Pocket Camp! Design your character, your trailer, and your campsite as you befriend various animal campers that appear around your camp. Buy items to attract these campers to your camp, gather fruit, catch bugs and fish for fish in his iOS Apple game. From Ubisoft Montreal comes the latest installment to their action-adventure stealth game series Assassin’s Creed: Origins. Players are Bayek, a Medjay officer in Egypt during the Ptolemaic period, where various political crises are at hand. Discover how Bayek became the one of the first assassins and how the Brotherhood of Assassins came into being, available on PC, PlayStation 4 and Xbox One. 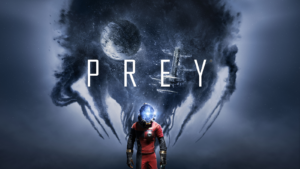 From Arkane Studios and published by Bethesda Games comes the first-person shooter game Prey. In Prey, players are Morgan Yu, a recruit to the Talos I space station enterprise by the TranStar Corporation. When alien creatures know as Typhon with the ability to shapeshift into inanimate objects are found on the ship, Morgan must fight back and find away to stop the Typhon before its too late. Available on PC, PlayStation 4 and Xbox One. I’m your man for all editing and music on this show. If you have any questions, or have requests for songs, don’t be afraid to email me at ladx3790(at)mylaurier(dot)ca!